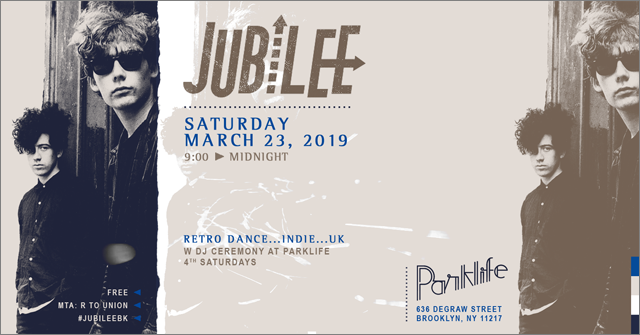 Join us every 4th Saturday for “JUBILEE” at the very charming Parklife in Gowanus, Brooklyn. 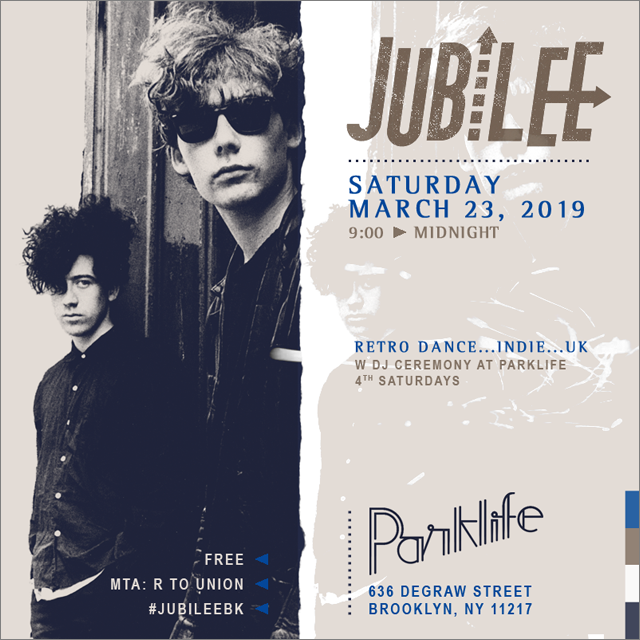 DJ Ceremony spins an infectious & upbeat mix of Retro Dance (’70s/’80s/’90s), Indie, & UK until midnight. Bring your friends! Parklife is great for groups. Also, bring your appetites! Parklife serves food daily expertly prepared and lovingly provided by Taqueria El Atoradero, whose blue corn tortillas are made fresh from scratch every day. Sign up for the DJ Ceremony mailing list for information on upcoming events and dates. You may unsubscribe at any time.